We know intuitively that nature is good for us. Those wonderful sensations of wind in our hair, sun on our face, cold snowflakes on our skin all need no explanation. They remind us we’re alive. That we’re part of the planet we live on. That our DNA contains the history of the Earth and perhaps even the stars too. We know this in our bones. But, beyond a sentimental thrill, what evidence is there to explain why we feel such a powerful connection with nature? Biologist E.O.Wilson has a name for this very deep emotion: biophilia. It is, he says in his book of the same name Biophilia , the innate attraction to life and lifelike processes. He first experienced it deep in a forest in Suriname, when one day, all of a sudden, “in a twist my mind came free and I was aware of the hard workings of the natural world”. He believes that early humans survived by attuning themselves to their surroundings and ‘reading’ the behaviours of other creatures and landscapes around them. Then it was a matter of safety, food and survival, but even today, says Wilson, we remain deeply drawn to manifestations of life. Architect Stephen Kellert agrees that biophilia was genetically encoded inside us when sensitivity to sensory signals was crucial to our survival. In order to stay safe, we needed to be able to read the messages conveyed by changes of light, sound, odour, wind, weather, water, vegetation, animals and landscapes. Today, our everyday lives are less dependent upon our physical surroundings but those sensitivities remain. They may lie dormant for a while until triggered by a signal from our bygone past, such as an encounter with animals, a visit to the countryside, even just the scent of a flower on a warm day. Suddenly we once again sense a glimmer of that ancient life in the wild. Biophilia connects us to nature. Environmental psychology has developed a rich field of scientific evidence which proves what we already know – that being close to nature not only makes us feel good, it can also measurably improve our health and wellbeing. Contact with nature can restore energy, alleviate mental fatigue, and enhance attention. It can slow your pulse, regulate your heart rate, or soothe a mind racing with stress. A famous study of hospital patients by R.S.Ulrich found that those whose window view featured trees recovered faster and better than those who could just see a brick wall outside. A few years later, environmental psychologists Rachel and Stephen Kaplan developed the concept of Attention Restoration Theory (ART). They showed that contact with nature improves health, strength and wellbeing, and help you concentrate better. Many other experiments conducted in schools, offices, and prisons have found similar results. It’s not surprising, therefore, that even today in our busy media-rich urban lives we’re still pulled towards the natural world. This could mean exploring a forest trail, swimming in the ocean, or just tending your garden. But it could also be a visit to a park in Second Life, gazing an animated waterfall cascading down a screensaver, or ‘liking’ photo of a sunset shared on Facebook, because some of nature’s restorative benefits are surprisingly transferable to digital environments. As I studied the research into our restorative relationships with nature, I noticed something interesting. Some studies took place outside, but many were conducted indoors using pictures, photographs, videos and, yes, computer screens, rather than out in a natural environment. More recently, human-computer interaction designers working directly with computer games and virtual reality have shown that research subjects gained the same kinds of measurable benefits from being around digital nature as from the proximity of actual trees, flowers and grass. What does this tell us? In my view, it seems likely that, in some circumstances at least, digital experience can replace being outdoors with little or no reduction in benefit. I call this technobiophilia , the innate attraction to life and lifelike processes as they appear in technology. This could, of course, be misused in a number of ways, but it also presents us with some interesting opportunities. Instead of the on/off attitude which sets the health and wellbeing agenda firmly in opposition to the digital agenda, what if we could find ways to integrate the two and benefit equally from both? This is what lies behind the drive to take a technobiophilic approach to the way we live our lives. It certainly appeals to many of those whose job is to design new living spaces. Professor Timothy Beatley at the University of Virginia School of Architecture says “We can look forward to the promise and potential of technobiophilic cities, that at once commit to restoring and enjoying actual nature, but acknowledge the realities of life in cities”. So where can we find examples of technobiophilic nature? Gamers have been exploring and creating virtual nature for years. Whether it’s growing carrots and potatoes in Minecraft; wandering the rugged terrain of Skyrim; designing mind blowing gardens in Second Life, or taking sophisticated landscape photographs in the mountains of Grand Theft Auto, gamers are very familiar with digital environments. But for many of us, technobiophilia is even closer. It’s in the photos we share online; the screensavers and wallpapers on our phones; even the trackers we use to monitor our health and activity – technologies which connect to our actual physiology and reports back to us. And soon, it will be even nearer as virtual reality enters our lives in a big way. An experimental trial with soldiers who had been severely burned while on active duty, found that the pain of daily wound dressings could be reduced, and in some cases removed all together, if the patient played a virtual reality game called SnowWorld during the procedure. They don a virtual reality headset and earphones before being transported through an icy canyon filled with snowball hurling snowmen, squawking penguins, woolly mammoths and other surprises. Flying through the gently falling snow, they retaliate by throwing their own snowballs. Often, patients get so involved that they don’t even notice when the excruciatingly painful procedure of removing and replacing burn dressings is over. In another experiment, psychologist Deltcho Valtchanov created a computer-generated virtual reality environment where he tested responses to an urban street, a geometric space, and a natural scene. The results showed that whilst in virtual reality nature, subjects experienced an increase in positive emotions such as happiness, friendliness, affection and playfulness, and a decrease in negative feelings like fear, anger and sadness. 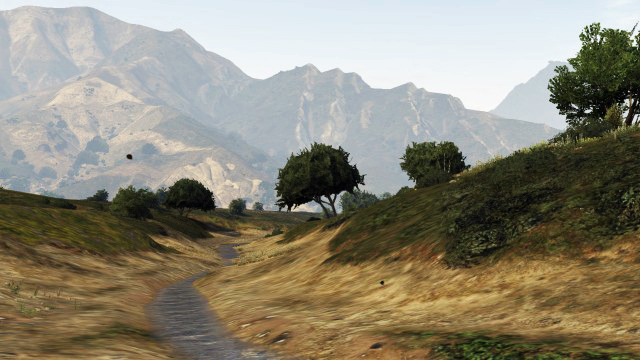 He and his colleagues concluded that encounters with nature in virtual reality have beneficial effects similar to encounters with real natural spaces. This year, 2016, an explosion of virtual reality headsets is about to transform our experience of virtual reality. If you haven’t seen VR yet, you soon will – in games, in films, even in online communities. Facebook’s purchase of Oculus Rift, the best known virtual reality system, really teases the imagination. What might it come up with to transform our interactions even more? As social media and game worlds grow ever closer together, we can expect a burst of virtual reality nature never experienced before. 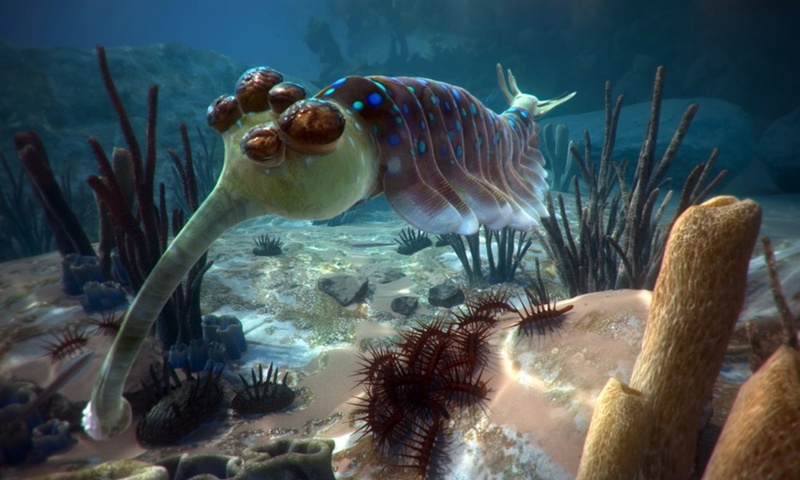 It’s early days yet, and the images still look a little clunky, especially when conveyed in 2d print, but watch out for First Life, veteran naturalist David Attenborough’s upcoming virtual reality First Life, an experiment which recreates the startling sunlit Cambrian ocean of 540m years ago and its extraordinary early wildlife. The research and devices mentioned here are drawn from my book Technobiophilia: Nature and Cyberspace and from my blog at www.suethomas.net. Here’s a short reading list in case you want to explore further. The books are available from Amazon via www.technobiophilia.com. Beatley, Timothy, “The Technobiophilic City”, 2015. Beatley, Timothy, Biophilic Cities: Integrating Nature into Urban Design and Planning, Island Press, 2010. Kaplan, R. and S. Kaplan. The Experience of Nature. Cambridge: Cambridge University Press, 1989. Kellert, S. R. ‘Dimensions, elements and attributes of biophilic design’. In Biophilic Design , by S. R. Kellert, J. H. Heerwagen and M. L. Mador, 3. Hoboken: John Wiley, 2008. Thomas, S. Technobiophilia: nature and cyberspace. London: Bloomsbury, 2013. Ulrich, R. S. ‘View through a window may influence recovery from surgery’. Science Vol. 224 No. 4647, 27 April 1984: 420–421. Wilson, Edward O. Biophilia. Cambridge: Harvard University Press, 1984.